September | 2011 | Stitch.... and Bake!!! Today is dyeing day. 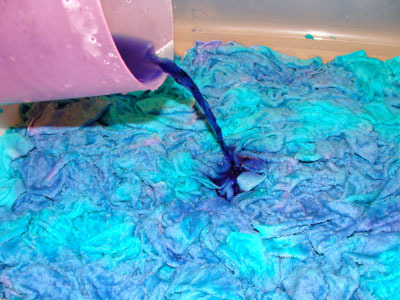 Bamboo velour is what I am dyeing. 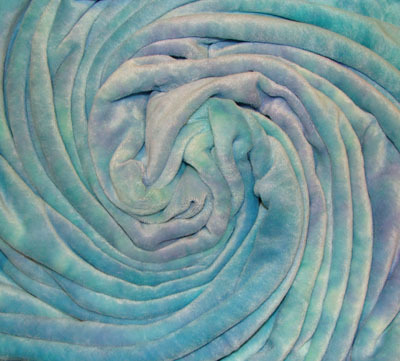 It’s soft, cuddly, warm, soft, luxurious, soft…soft…soft… and takes the dye extremely well!! I use it to make scarves, blankets, cloth wipes, hoodies, stuffed animals, pillow cases.. you get the picture. Anyway, I really like dyeing outside in the summer when the weather is nice. Now sewn into a baby blanket.